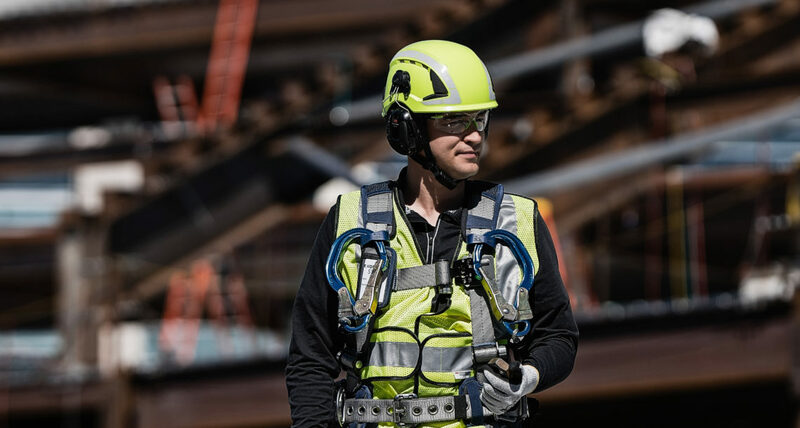 ST. PAUL, Minn.—January 8, 2019 — 3M Personal Safety Division is pleased to announce a new era of head protection with the introduction of the 3M™ SecureFit™ Safety Helmet X5000 Series. 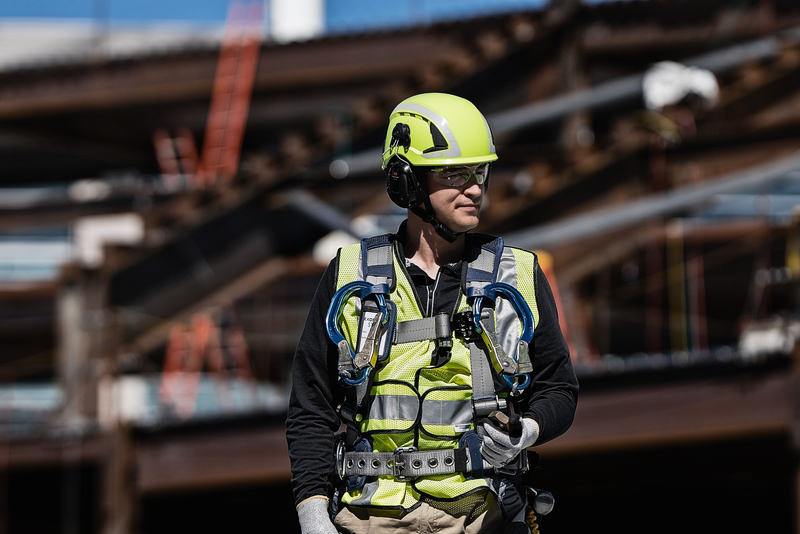 For any commercial tradesperson who works on the ground or at height, the 3M-exclusive Pressure Diffusion Technology helps reduce forehead pressure and offers a smooth, easy-turning ratchet suspension system that sits low on the head that makes the 3M™ SecureFit™ Safety Helmet a comfortable and secure option. • Patented Pressure Diffusion technology: This new component helps reduce forehead pressure up to 20% on average compared to 3M conventional helmets. • Ratchet suspension: The 6-point ratchet suspension system allows wearer to customize height and fit using a smooth easy-turning mechanism that provides for greater comfort and security. 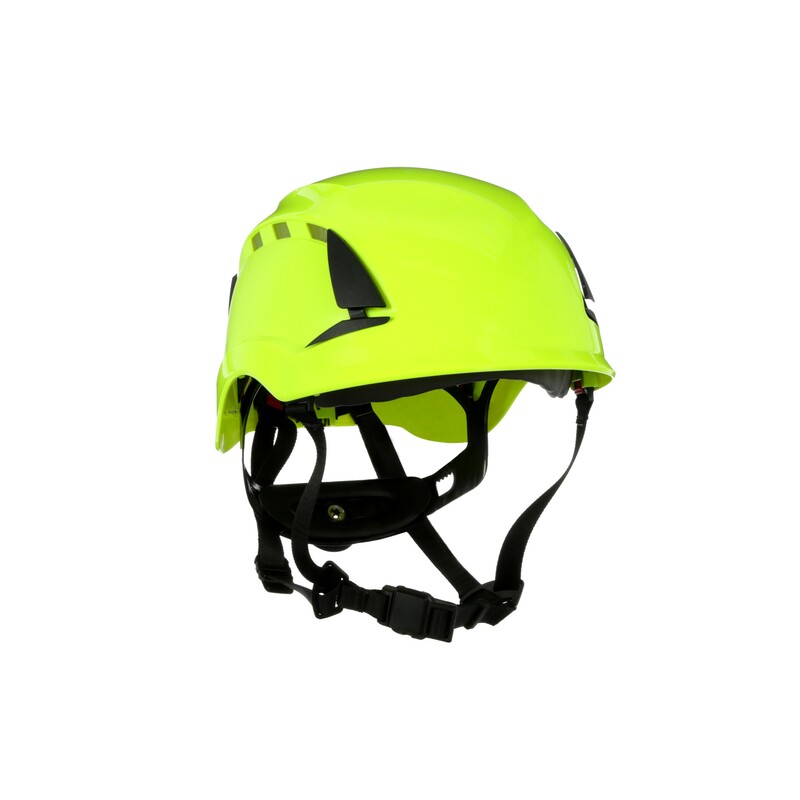 • Climbing helmet-inspired design: Modify your fit with multiple levels of vertical adjustment. There is also a removable sweatband that can be washed or replaced with a sweatband replacement accessory. • Customizable: A variety of 3M visors, faceshields, reflective kits, and other accessories are available to help meet specific job requirements. Accessory slots are designed to hold 3M earmuffs and communication products. Integrated clips also help hold elastic bands used with 3M goggles and headlamps. • Optional ventilation: There are vented models available that have vents on the sides and the back. • UVicator™ UV indicator: Proprietary indicator built into the helmet lets the wearer know when to replace helmet due to ultraviolet light exposure that can lead to the plastic in the helmet casing becoming brittle. 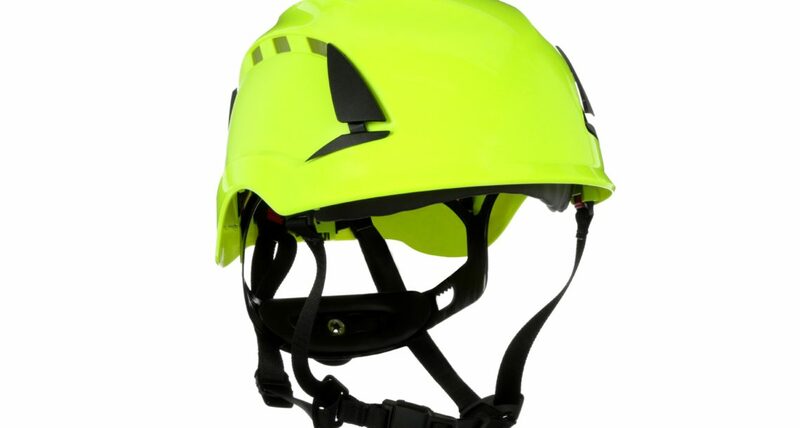 Depending on how the 4-point chin strap is configured, which is unique to 3M head protection products, the wearer can convert vented helmets between the EN12492 Helmets for Mountaineers or EN 397 Industrial Safety Helmets, as well as meets EN 50365 Insulating helmets for use on low voltage installations up to 1000 V standard. Plastic or magnetic chin strap buckles are available. The 3M™ SecureFit™ Safety Helmet X5000 Series is now available for order throughout EMEA. Orders can be placed by contacting your regional distributor. About 3M At 3M, we apply science in collaborative ways to improve lives daily. With $30 billion in sales, our 90,000 employees connect with customers all around the world. Learn more about 3M’s creative solutions to the world’s problems at www.3m.com or on Twitter @3M or @3MNewsroom.